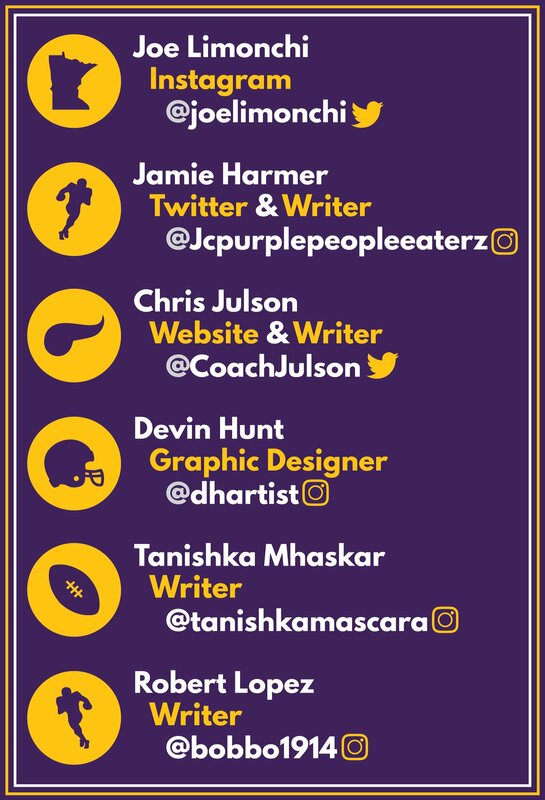 As the Vikings (2-2-1) take on the Arizona Cardinals (1-4) we thought it would be beneficial to give you all some insight on potential playmakers for either team on both sides of the ball, so you can be the smartest person in the room on Sunday afternoon. The rookie wideout has been off to a fast start so far this year averaging about 50 yards per game. This includes a 75 yard touchdown catch on the first play for scrimmage vs the 49ers. He was taken 47th overall out of the university of Texas A&M where in each of his 3 seasons, he got 900 plus yards receiving. It is likely that the rookie will be called upon this week with Larry Fitzgerald not at full strength. Kirk will likely be lining up across from Trae Waynes who is coming back from a concussion which he had suffered in the 3rd quarter of the Rams game on a play where he gave up a 40 yard touchdown. We can expect to see an increase of targets and receptions as him and his fellow rookie quarterback Josh Rosen develop their chemistry. It seems as if everyone is talking about Adam Thielen these last few weeks. The Vikings have another star wideout by the name of Stefon Diggs. Diggs hasn’t had any splashy games since the overtime tie in Green Bay, where he caught two touchdowns and a 2 point conversion. He has still been very productive and is seemingly always open. OC John DeFilippo has been using Diggs, because of his speed, for handoffs and running plays. 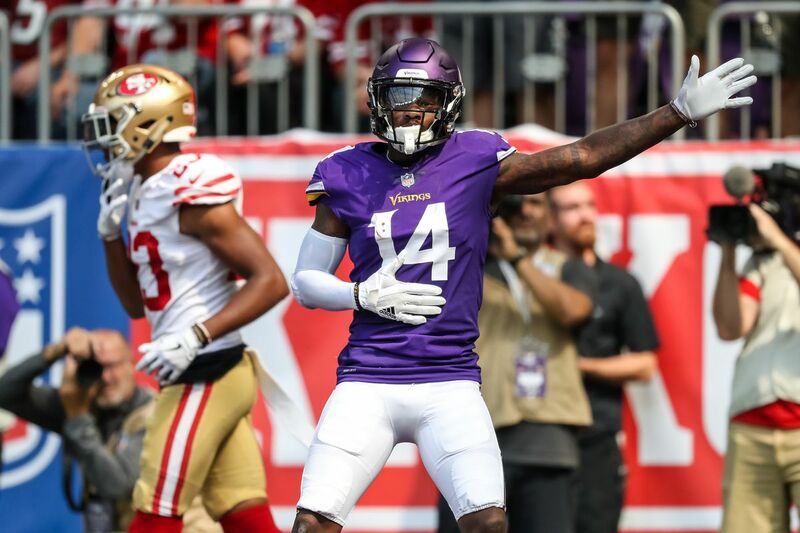 In the victory in Philadelphia, Diggs had 25 rushing yards, which mostly came from a handoff which went 20 yards on the left side of the field. He also had 91 receiving yards, and is on pace for his first ever 1,000 yard season. The Cardinals have star cornerback Patrick Peterson, who is one of the best in the game. Just like Xavier Rhodes on the VIkings, Peterson usually shadows the opposing team’s star receiver. This could be problematic with the Vikings who arguably have the NFL’s best receiving duo. Arizona could choose to pick on either Diggs or Thielen, but will probably let Peterson spend time guarding both of them. Bené Benwikere isn't a household name by any stretch of the imagination. However he is still under his former defensive coordinator Steve Wilkes, who he worked with in Carolina. This knowledge of the system has helped him excel in Arizona. He has had an interception last week vs the 49ers and the week before that he caused a forced fumble vs the Seahawks. He has been incredible so far this year and the Cardinals will rely on him to keep one of Diggs or Thielen in check. Benwikere has been red hot so far this being one of the better corners in the league and we can clearly see that his knowledge of Steve Wilkes and his defense has benefited him. He looks to continue this start where he will line up across from pro bowl corner Patrick Peterson though he is listed as questionable for the game. With the final injury report out on Friday, Minnesota’s starting strong safety, Andrew Sendejo, is listed as out with a groin injury. Next man up, as the Vikings luckily have strong depth at the safety position. During the offseason, Iloka inked a one year, $880,000 deal to return to his first defensive coordinator in the NFL. 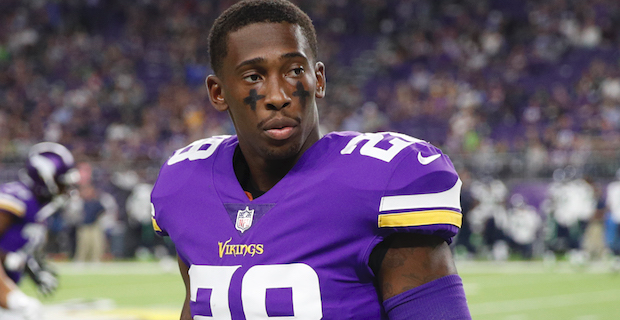 Iloka’s knowledge of Mike Zimmer’s system should help him play well, considering he’ll actually get playing time this week which won’t completely be on special teams, alongside Jayron Kearse and Anthony Harris. The reigning NFC defensive player of the week will look to continue his dominant play, terrorizing left tackles across the league. Last week against the 49ers, Chandler Jones had 6 tackles, 1 sack, 2 tackles for loss, and 1 forced fumble. Jones will be going up against Rashod Hill, who usually starts at RT, but will be filling in for injured Riley Reiff. Jones is quick on his feet and very frequently has his way spinning around the left tackle. Keep an eye out for him to make plays to keep the Cardinals in the game. Sheldon Richardson has become the monster he once was in his rookie year. After signing a one year 8 million dollar deal, Richardson has arguably been the most consistent defensive lineman on the Vikings. He has been a terror for the majority of quarterbacks he has faced when he lines up at the three-tech spot. Though an average fan may look at his season so far and see only the one sack and feel underwhelmed his impact has stretched beyond the box score, he has in many ways been the missing piece to the puzzle that Tom Johnson was not. Look for him and fellow defensive tackle Linval Joseph to have a big game vs a disappointing interior line of the Cardinals. The Minnesota Vikings take on the Arizona Cardinals on Sunday, October 14th at 1 PM EST. "seemingly always open"? If he was always open, Diggs would get the ball from Cousins. What you see on TV doesn't necessarily reflect what's happening on the field. Also, in what way has Bene' Benwikere been a stud corner? Nothing I've heard has suggested that.